Official Website: The candidates can apply online for the PU LLB 2018 on the official website of the University. Availibility: The Application Process of PU LLB 2018 will start from 15th April 2018. The candidates can apply by clicking on the direct link provided on the homepage of the official website. Registrations: Candidates first need to register online and create a Login ID and password using ‘New candidate Registration’. Credentials: The candidates should note down the Login ID and Password details. Payment: The candidates should pay the application form after registration. The Candidates can pay the payment in offline mode by paying the fees in State Bank of India. Next, The candidates may log in using his/her Login Id and Password and fill the application form online. Uloading Documents: After Filling up personal details, the candidates should upload scanned copies of photograph and signature as per the specified prescription. 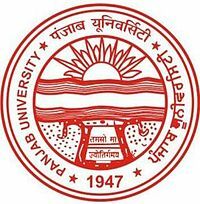 Exam Centers: PU LLB 2018 examination will be conducted in different parts of Chandigarh and the allotted center will be printed on the admit card.